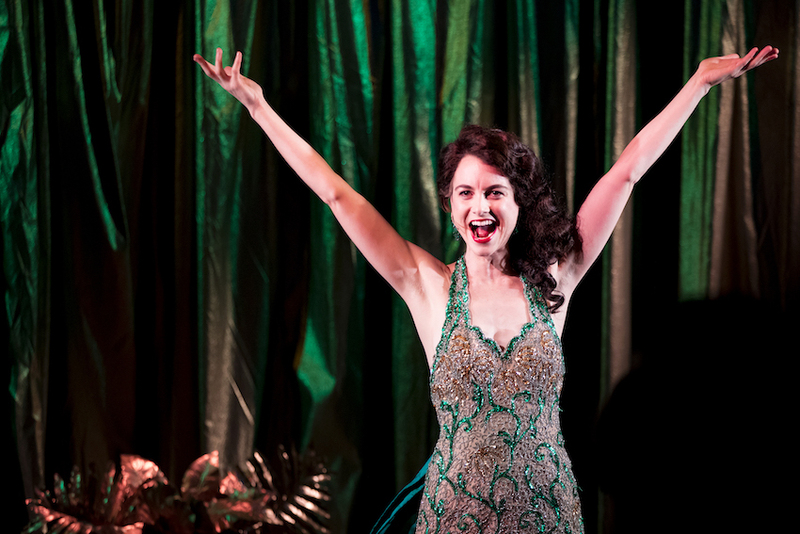 Having endured a decades-long wait, Sydney finally has a revival of revered golden age masterwork Gypsy. 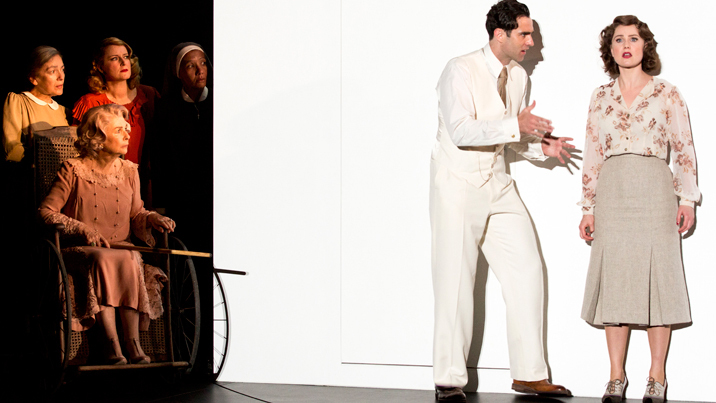 Stripped back to its grimy blackest, the courageous production takes grasp of the audience with unflinching intensity. 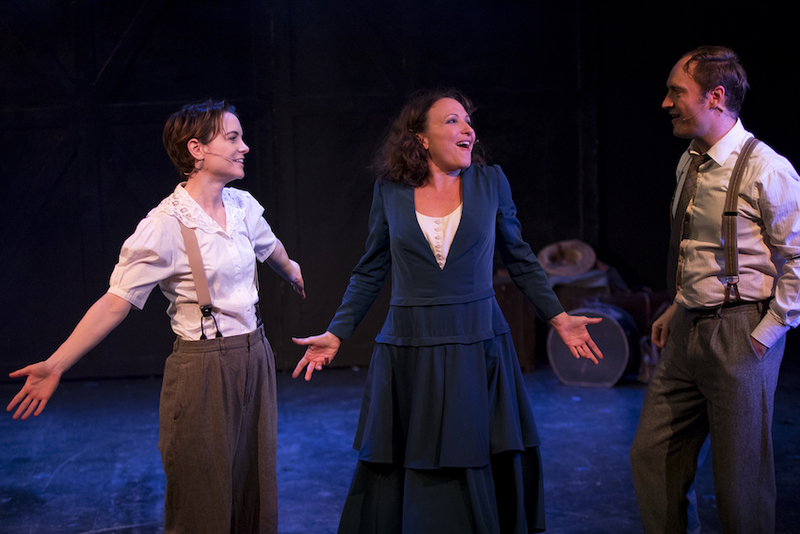 At the forefront of director Richard Carroll’s achievements with Gypsy is the searing desperation of the characters as they flail against the tide wrought by the death of vaudeville. While Mama Rose is long established as the stage mother from hell, most other characters here also display a range of vile traits, with no attempt to soften or sugarcoat proceedings. Carroll has corralled a troupe of musical theatre actors into subverting their every tendency to shimmer and smile. At every turn, the actors transmit looks of desperation, panic, resentment, fear and disbelief. The highpoint of this approach comes at the end of act one, when Rose’s decision to turn her ill-conceived ambition upon Louise draws the sort of audible gasps that are usually heard only at horror movies. Clements uses a deliberately depressing palette of dark greens, greys and browns for the costumes, reserving the sheen of pink and red for Louise’s climactic rise to fame as stripper Gypsy Rose Lee. As with props, the characters’ clothing has a threadbare, hand-me-down, makeshift feel, with Gypsy’s ever more glamorous gowns coming in sharp contrast. Clever use is also made of wigs (Carla Dannunzio) to really show the underbelly of the difference between on stage and off. Cameron Mitchell’s choreography completes the fly-by-night feel, with Rose’s young charges desperately seen counting aloud as they struggle through inane routines Rose has conjured for them. Choice solo routine “All I Need Is The Girl” is performed with deftly polished flair by Mark Hill as Tulsa, giving a clear sign of what could have been achieved by these kids if Rose was not strangling the life out of them. Led by music director Joe Accaria, a tight band of five musicians provide crisp accompaniment in new reduced arrangement’s of Julie Styne’s score. Just as the actors occasionally supplement the music, so too do the band members occasionally portray background roles. Camden Young’s sound design delivers bright clear vocals, and yet the proliferation of percussion and programmed keyboard rhythms tend to interfere with the ear’s ability to tune into Stephen Sondheim’s wickedly ingenious lyrics. 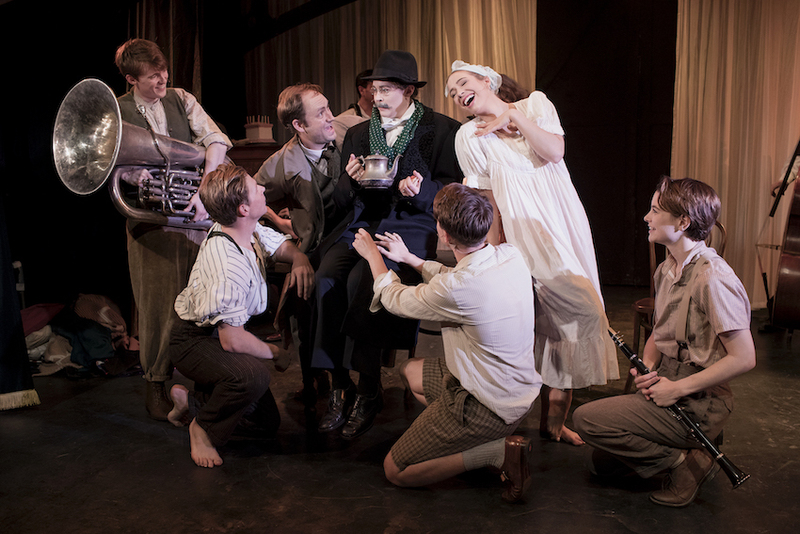 Underpinning the success of a streamlined staging of Gypsy is Arthur Laurents’ acclaimed book, widely considered one the very best in the musical theatre canon. The involving story hurtles along, with key plot points transmitted with deft economy and razor sharp insights into human nature delivered with unapologetic brutality. 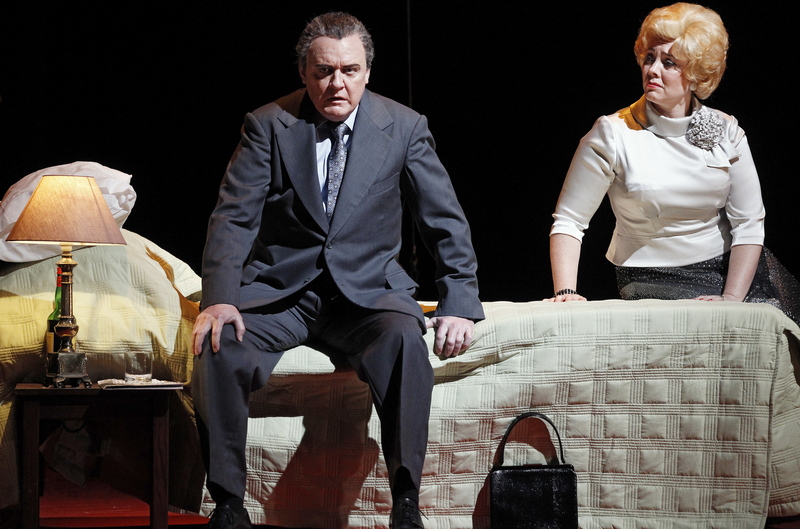 Under Carroll’s direction, the production matches and even deepens this brutality in ways that bigger scale productions cannot help but blur and soften. The most frightening aspect of Blazey Best as Rose is the way Best casts aside the usual conceits of musical theatre performances; for those two and a half hours she simply is Mama Rose. With Shirley Temple curls and white lace collar, this Rose harks clearly back to the abandoned child who never grew up. Best conveys Rose’s every machination; for example, in what should be an all too rare moment of happiness for Rose as she dances with dear Herbie, Best looks out of Herbie’s shoulder to transmit Rose’s look of quiet desperation, the wheels always spinning ahead to the next plan of action. 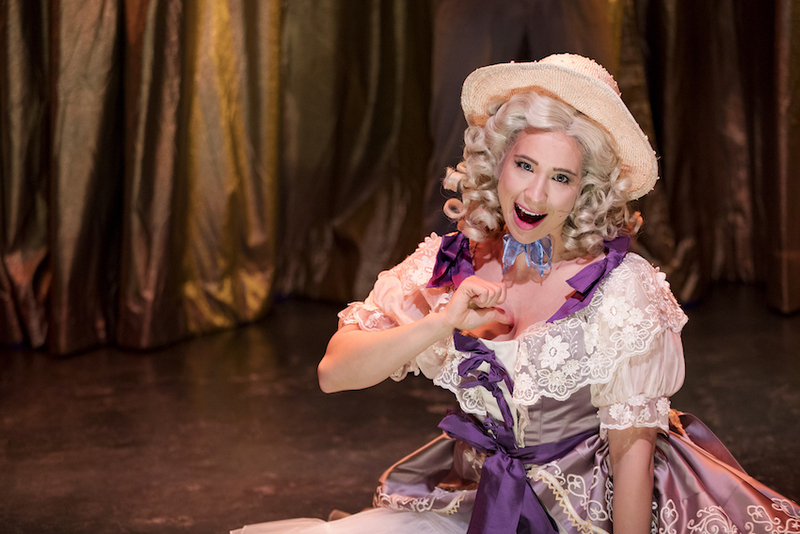 Louise enjoys an extraordinary arc, going from mousy tomboy to struggling performer to world famous ecdysiast. Her hair cut boyishly short, Laura Bunting initially blends into the ensemble, her Louise suffering and stunted for lack of affection. In an expertly calibrated performance, Bunting reveals more of her talents as Louise slowly comes to the fore, ultimately emerging from chrysalis a fully coutured and coiffured butterfly. Sporting scruffy combover and drab, ill-fitting suits, Anthony Harkin neatly underplays the introverted persona of unwilling agent Herbie. Harkin’s Herbie is so piteously vulnerable that his eventual heartbreak seems sadly inevitable. 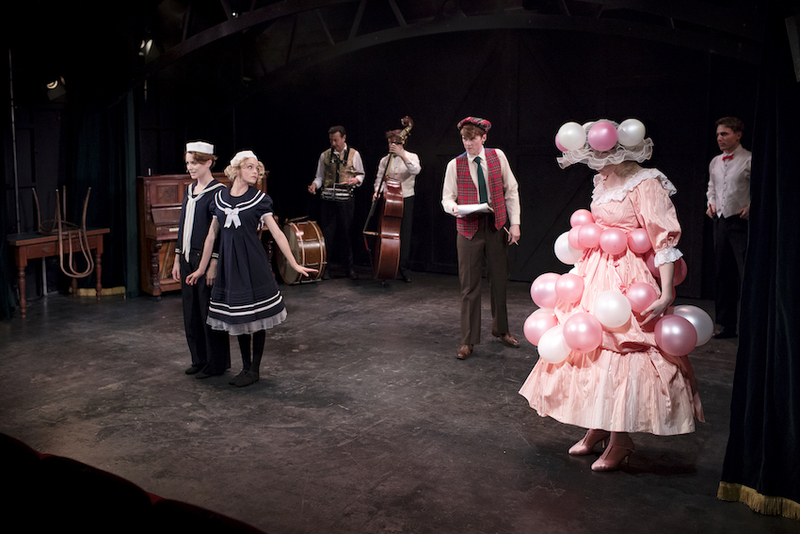 Sophie Wright maintains a distant coldness in June’s eye, and clearly shares June’s struggle to perform the humiliatingly childish vaudeville acts. 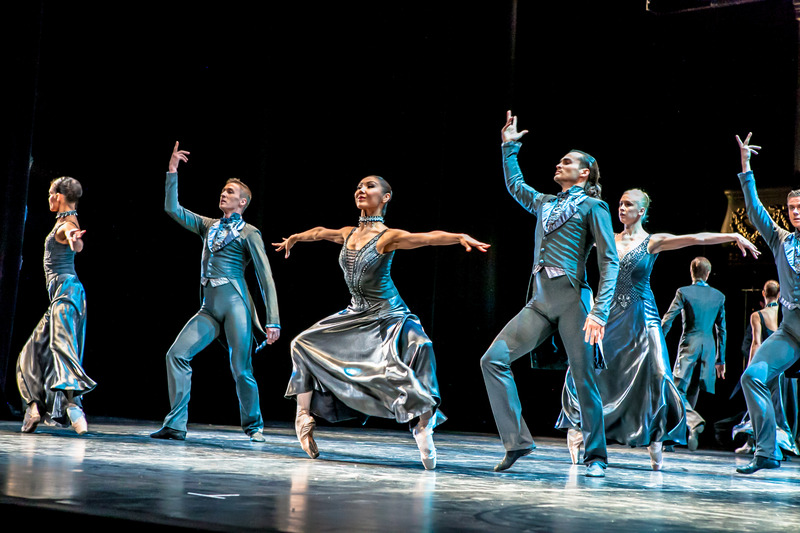 The company of nine is filled out by Rob Johnson, Matthew Predny, Jessica Vickers and Jane Watt, each ably demonstrating the breadth of their talent by playing a variety roles. 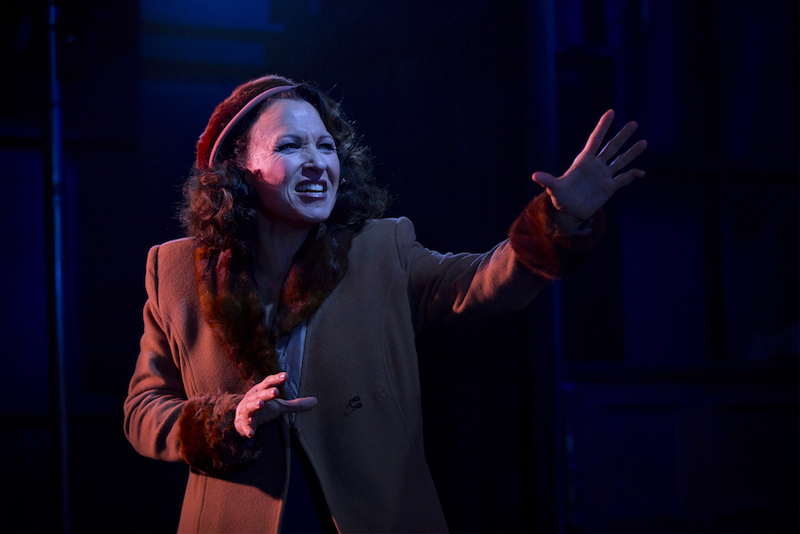 Full credit to Luckiest Productions, One Eyed Man Productions and Hayes Theatre Co for their vision and persistent in bringing this production of Gypsy to the stage. With just over a week of the season remaining, attendance is very highly recommended.